With Printing By Johnson custom brochure printing services, it’s easier than ever to develop marketing materials that reflect your company’s unique brand and style. We create professional brochures using state-of-the-art printing equipment, backed by a design team that knows what it takes to create brochures that are both appealing, effective and within your budget. 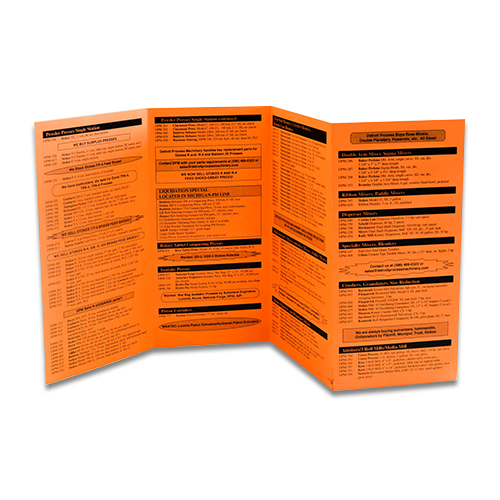 Tri-fold and half-fold brochures make excellent mailing and/or hand-out pieces, because of their compact size. They also fit perfectly in presentation folders, with coordinating marketing materials which we can also print for your company. 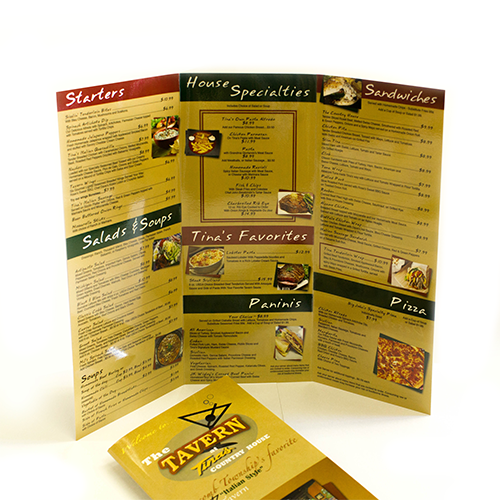 The tri-fold style is also the perfect answer for restaurant carry-out menus! When laid out by our professional design team, your tri-fold or half-fold brochures will clearly & concisely convey your company’s unique message – in impressive and eye-catching style. At Printing By Johnson, we offer custom brochure printing services, along with full-service design assistance from our creative marketing team. Whether you need small or large print runs, graphic design services or layout assistance, our design team has the knowledge and experience to create exactly what you need. We’ll assist you every step of the way, from content development and layout & design – to the final delivery of your completed project. Stand out from the crowd with brochure printing services from Printing By Johnson.